An increasing number of libraries are reworking their spaces to feature more open, flexible-use floor plans while organizing and merchandising their collections in new ways. There is an increased emphasis on where and how popular collections are displayed, along with high-demand media collections. Compared with a typical shelving environment that has a unilateral appearance of “nothing but stacks,” librarians are now seeing positive upticks in circulation and library utilization as a result of retail-style displays. To better compete for patrons’ limited free time, libraries are adopting retail merchandising best practices. Themed displays with signage draw attention to time-sensitive, current event-based features. These displays typically highlight only a small portion of the core collection to stimulate interest. 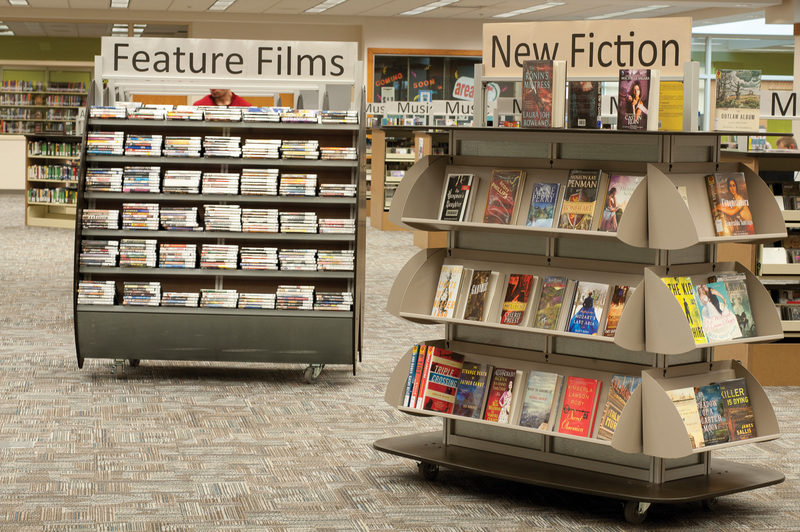 To help library staff ease into a retail or marketing mindset, it’s helpful to define your library’s merchandising opportunities, display types and set standards and staff expectations. This is precisely what Anythink Libraries in Rangeview, Colorado did with its visual merchandising guidelines. Aesthetic-minded librarians use merchandising techniques, such as tiered risers and face-out display stands, to highlight materials. This creates visual interest, breaking up endless rows of traditional spine-out materials. If you’re ready to help patrons “shop” your library, your display options are boundless and inspiration is as close as the galleries above or a trip to your favorite store! How will you position your library for the future? This is an exciting time to imagine your library in new ways, and explore expert design solutions that will make your vision come true. Use Demco’s product spotlights (like this one), blog posts and free webinars to find more creative ideas.